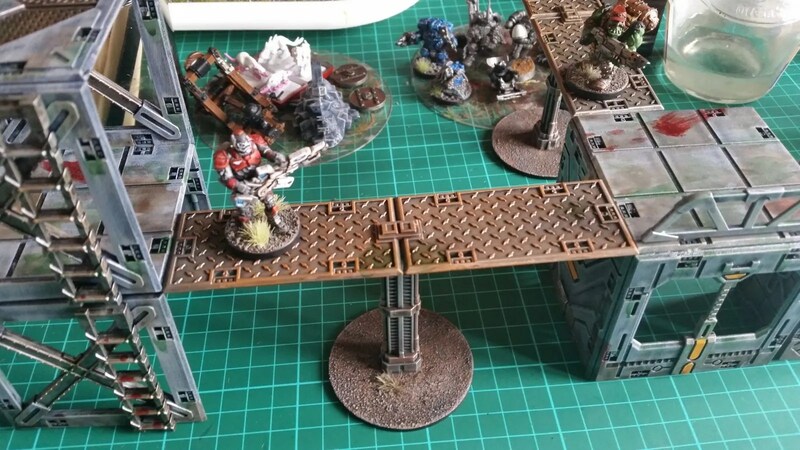 I bought a few spare Deadzone scenery sprues from eBay because I wanted to add some extra walkways to the table. 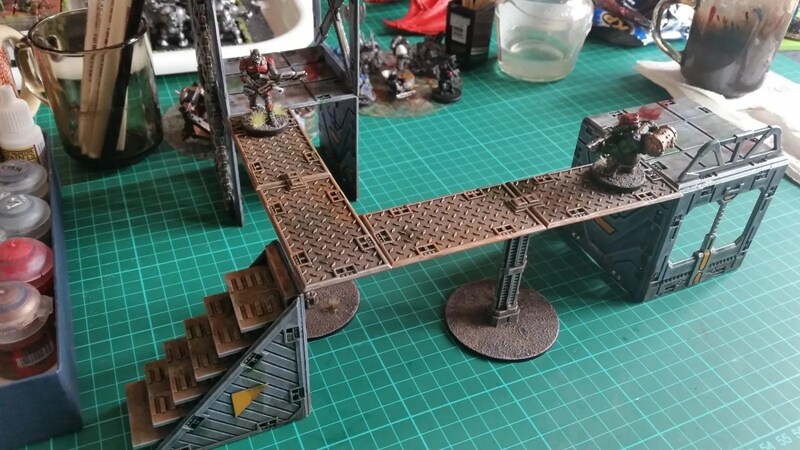 I wasn’t sure at first how to keep the walkways separate from the scenery. 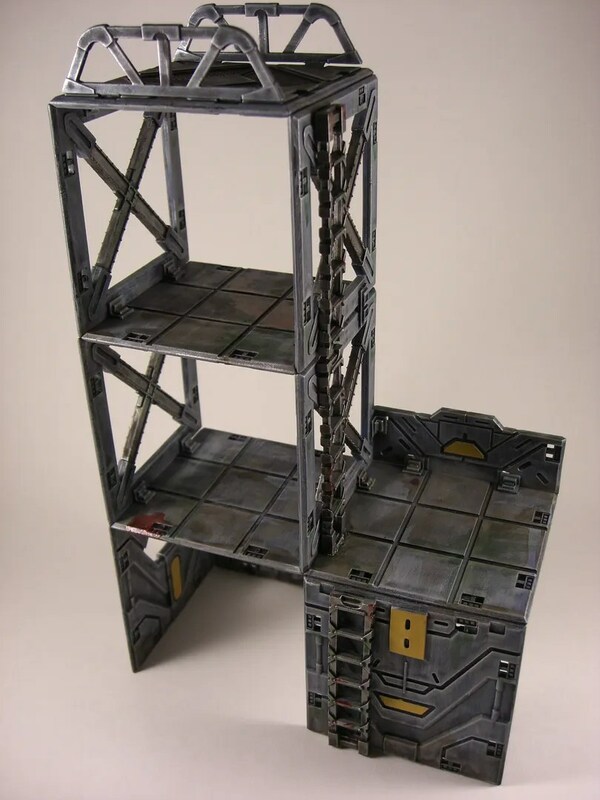 I needed something that would slip easily into the scenery storage box and at the same time give a load of options in game. 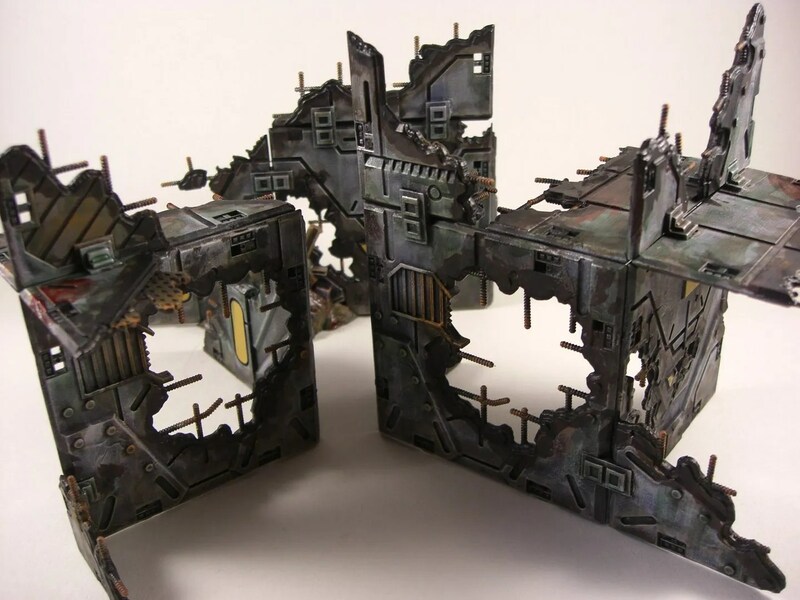 I managed to finish off the Deadzone Ruins from the Contagion boxed set. And then glued together most of the Iron Ancestor model. The arms are blue tacked on as I’ll paint them separately and glue them on in the end. Same with the base. 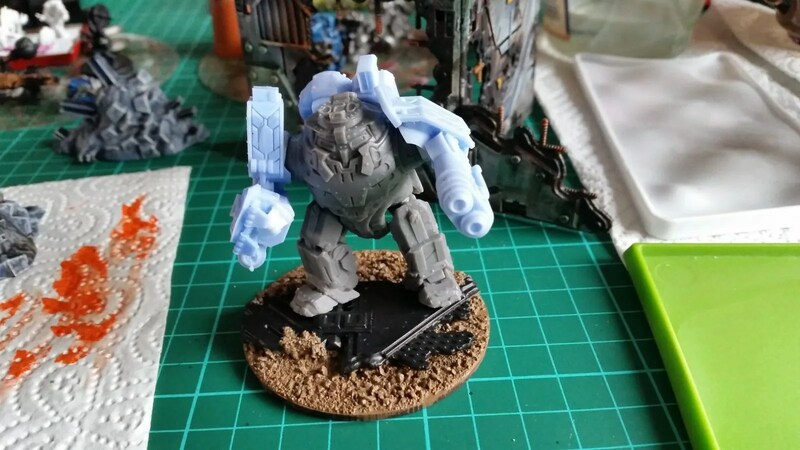 I’ll paint it up then add the model to it. 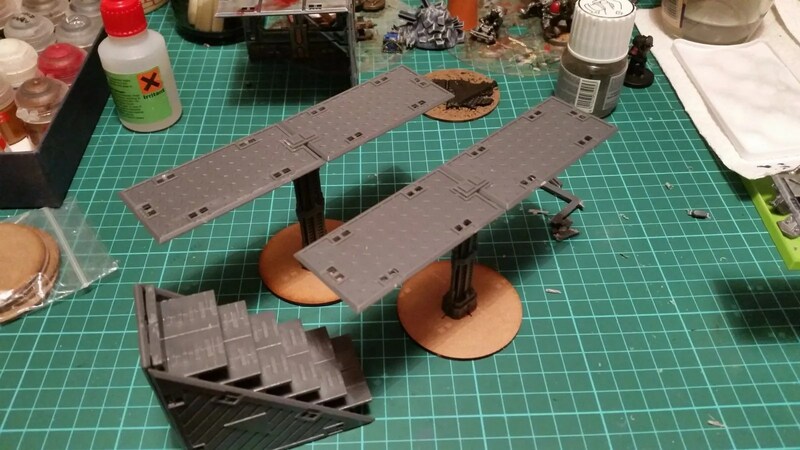 I have managed to paint all 15 movement trays and cut the rubber steel sheet to fit them all. I just need to have time to add flock and static grass, then seal with varnish(es) before sticking in the rubber steel sheets. 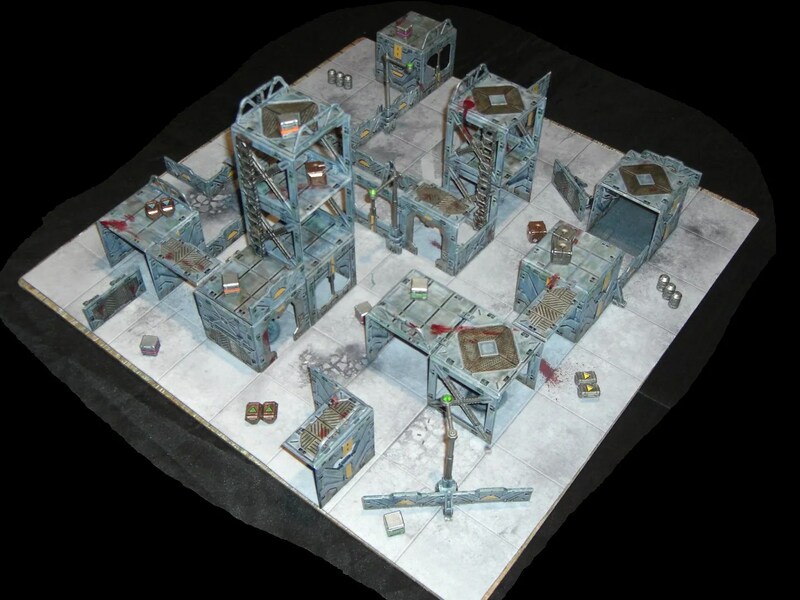 Anyway, I managed to take a photo of all the Deadzone scenery squeezed onto the game board. A little busy, but it is the full Deadzone box set along with a scenery upgrade kit doubling the number of building tiles. 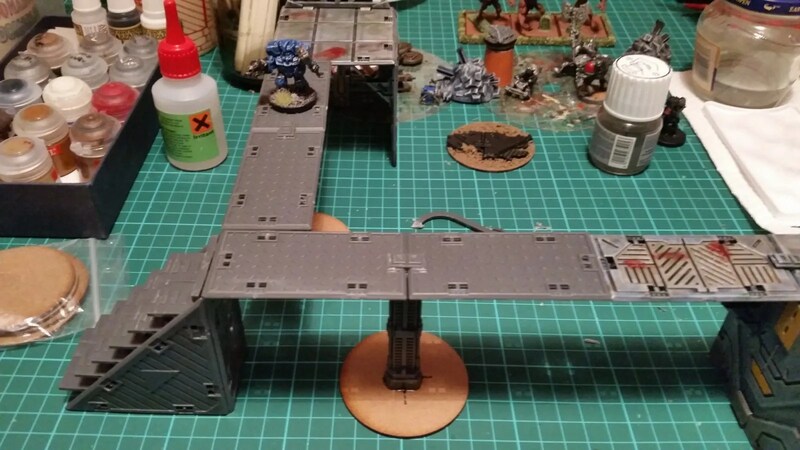 I’ll post it in action if I get the rest of the gameboard out tonight.